Join us to celebrate the launch of KESHIKI, a series of eight stories showcasing some of the most exciting writers working in Japan today. Our special guests for the evening are writers Masatsugu Ono and Aoko Matsuda, translators Alfred Birnbaum, Polly Barton and Angus Turvill, editor Elmer Luke and designers Glen Robinson and Nigel Aono-Billson from Norwich University of the Arts. The chair will be Philip Langeskov, from University of East Anglia and Strangers Press. The evening will feature readings followed by discussion on how KESHIKI was created – from translating the stories into English, to their visual interpretation into beautifully designed chapbooks. The event is free, but places are limited. Please book a ticket to reserve your seat. Please book your seat online from here. This event is a collaboration between Japan Now, Writers’ Centre Norwich, Strangers Press and the Sainsbury Institute. It is part of Japan Now, an events series exploring the nation’s contemporary writing and culture, programmed by Modern Culture in partnership with the Japan Foundation and Writers’ Centre Norwich, and supported by Arts Council England, Great Britain Sasakawa Foundation, the Nippon Foundation and the Japan Society. 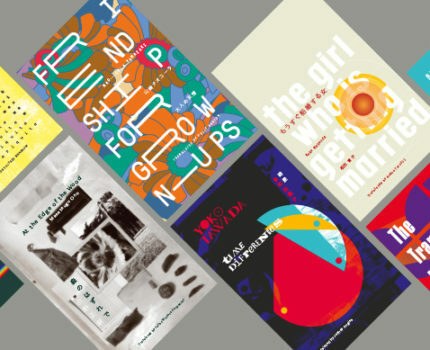 Strangers Press is part of the UEA Publishing Project.